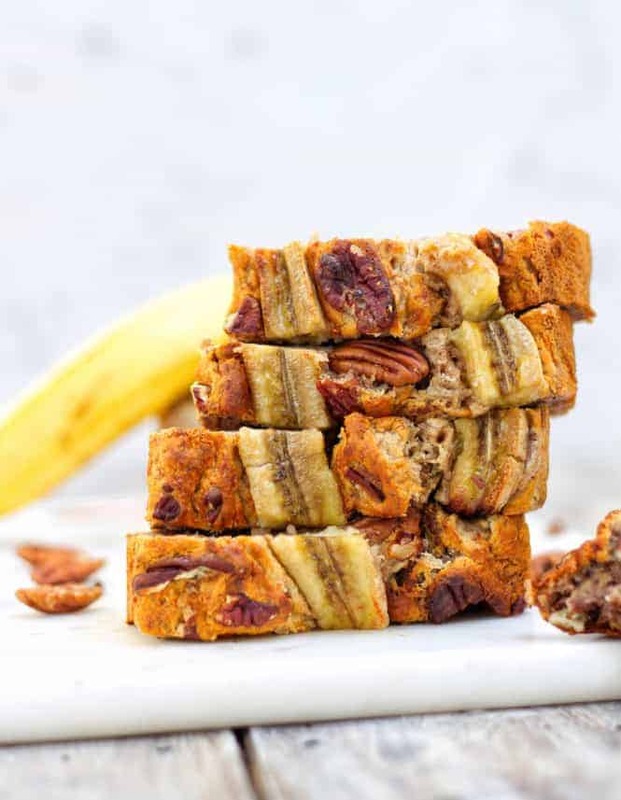 Trust me this is the Best Free-From Banana Bread you will make! It’s so moist, easy to make and full of flavour that you’ll want to keep making it. I have actually been giving this bread to friends who aren’t gluten free or vegan and they have absolutely LOVED it and said they wouldn’t even know it was free-from. Did you know that roughly 1.4 million bananas are chucked away each day in the U.K alone!!! There is no need to chuck away ripe bananas. This is the PERFECT recipe for using up those ripe bananas. Using just these 7 ingredients you can buy from most supermarkets. 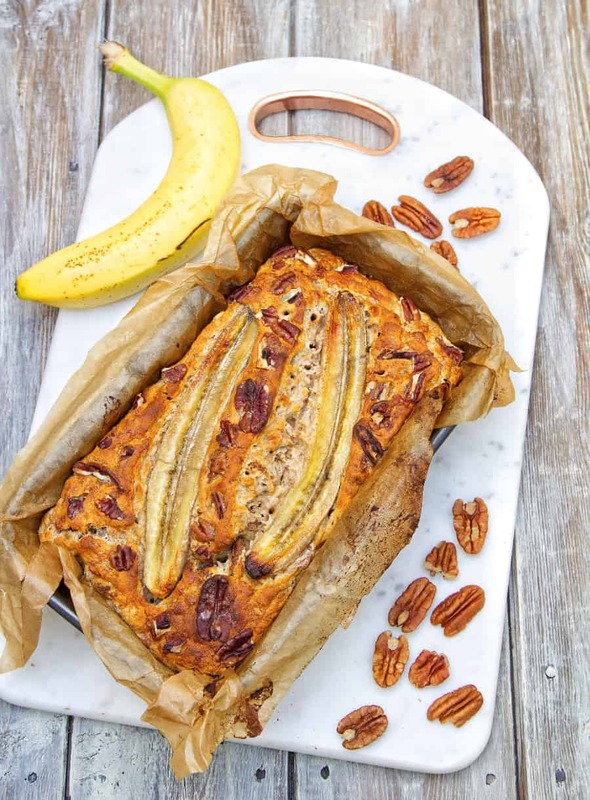 This Banana Bread is incredibly easy to make using just 1 bowl to make the mix that is gluten free, vegan & refined sugar free! 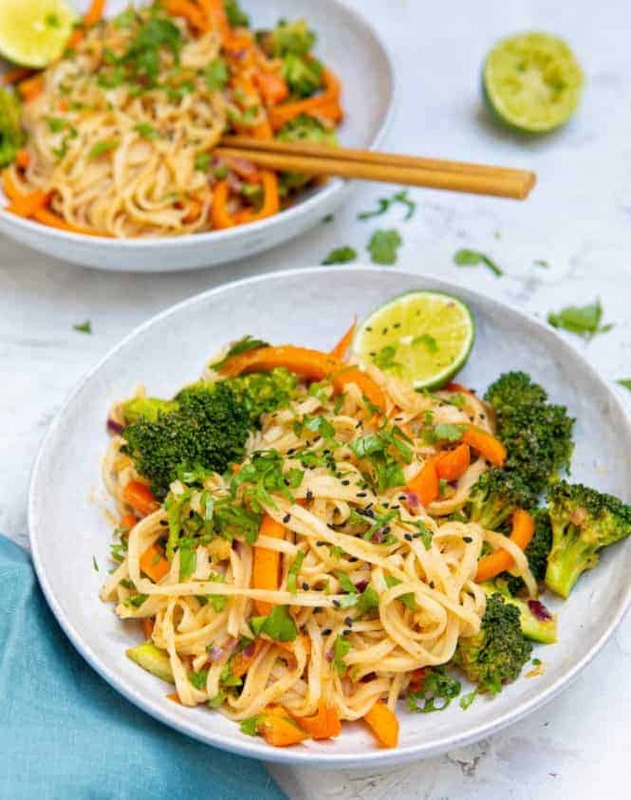 If you’re someone that is trying out veganuary as is used to using eggs when baking then you definitely need to try this recipe. 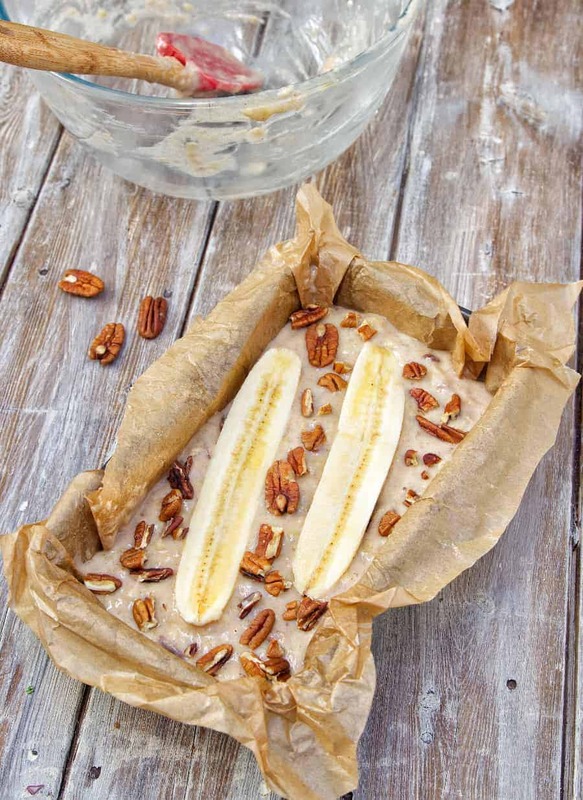 And with just 5 minutes of prep you can have this Banana Bread in the oven. Have kids? Get them to make this for you, they’ll absolutely love it. After 35-40 minutes in the oven it comes out looking like heaven in a bread tin. It’s important to resist the urge to eat it all straight away though! The mix of gluten free flour means it can still be too moist in the middle. Allow it to cool on a cooling rack before slicing. Bonus! I think this bread tastes even better the next day, that’s if you manage to not eat it all straight away. 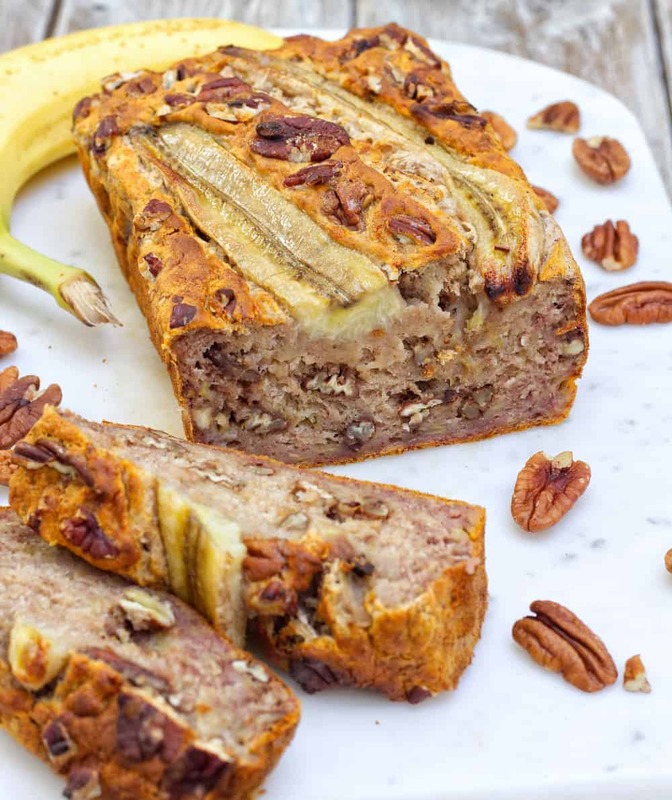 If you try this Free-From Banana Bread let me know! DON’T FORGET to subscribe to my youtube for more quick and simple step by step recipe videos. Give it a try! I can’t wait to hear what you think. This is store in a sealed container at room temperature for a couple days! 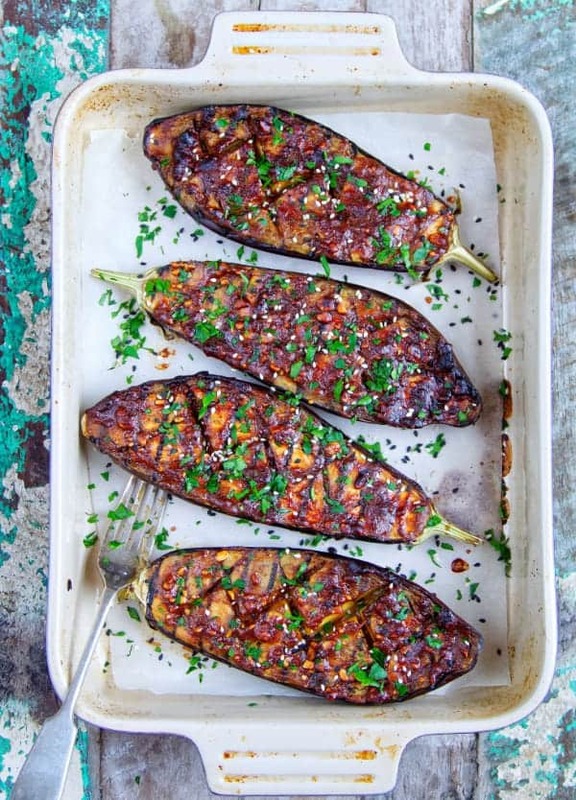 Hi James, this recipe looks delicious but I did wonder with buckwheat or spelt flour and if so, how did it turn out? Amazing recipe, so easy to make and uses really simple ingredients that you will most likely already have in the house! 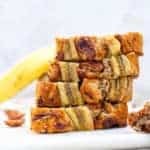 Creates a really delicious banana bread which a nice crunch from the nuts. I love it!! Hey Kara, thank you for sharing that it worked well without SR flour! I love the addition of vanilla and nibs! Thank you so much for the great review Lisa 🙂 so pleased you enjoyed it! I found gluten free flour. Is there something I should add to it to make it self rising that would work for this recipe? I want to make 2 more loafs. 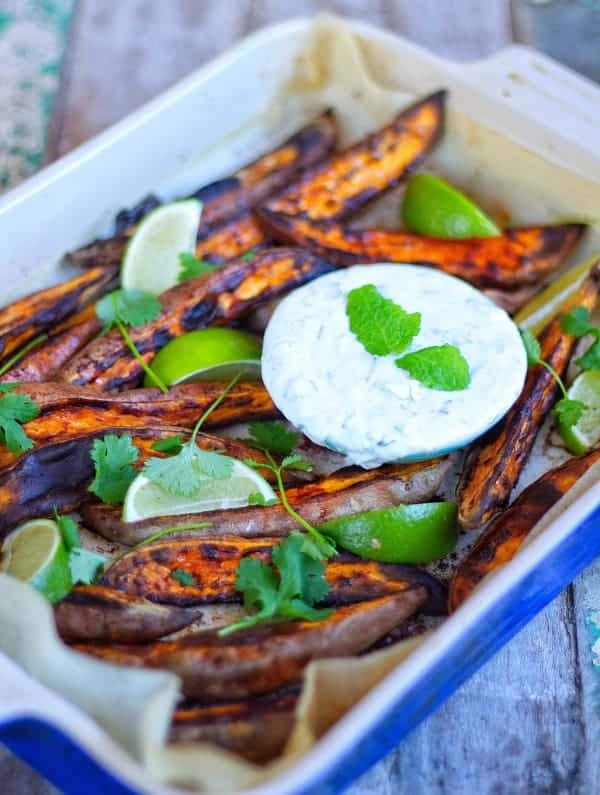 This recipe is unbelievable delicious! Baking the bananabread the 3rd time this week – everybody loves it! And it also looks so amazing! Great recipe! I used halve almond meal and half oat meal, with extra baking powder. Worked great! Thanks! Yay!!! Glad you enjoyed it Diana 🙂 thanks for sharing your feedback. 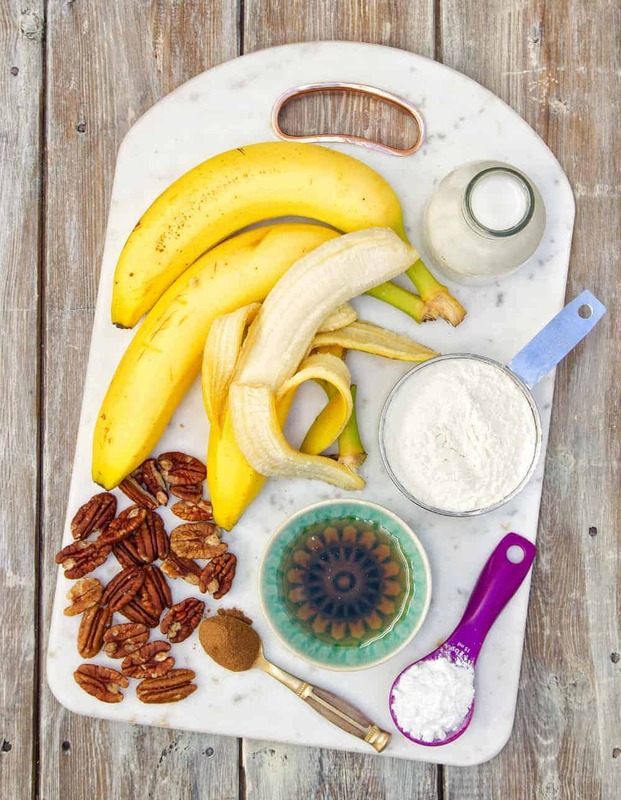 Can this recipe be used to make Banana Nut Muffins? If so, how many muffins do you think the recipe will make? And what temperature would you bake them at? Hi James! Just made my first banana loaf. It looks and smells delicious, and was so easy to make, but has a slight ‘tang’ to it. Could it be the baking powder (the recipe does say a tbsp and not a tsp right?) or the gf flour which I’ve not used before? Thanks! Aahhh that’s where I went wrong ‍♀️ I used bicarb of soda! (Google told me it was the same as baking powder, but presumably not) I shall just have to make another one! Thanks for setting me straight. Delicious! Made it yesterday and the family are demanding more! 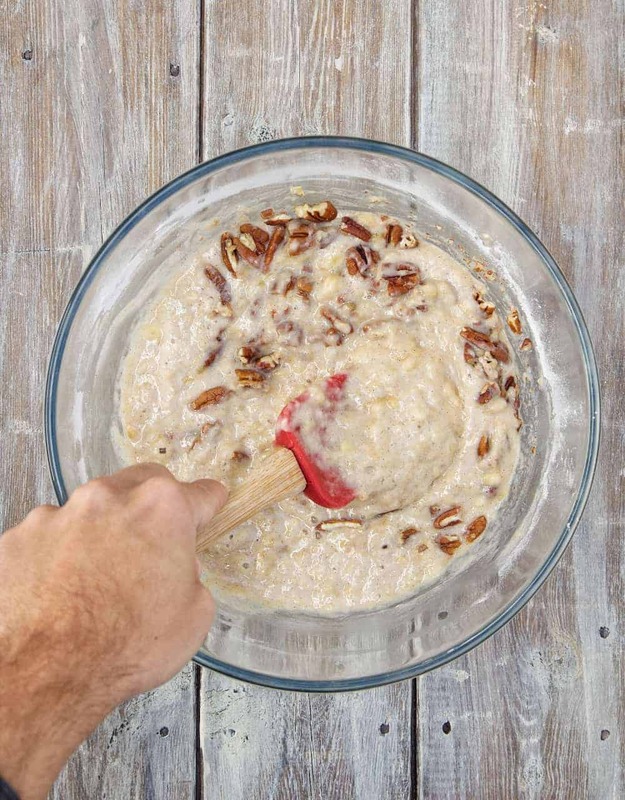 Lovely combination of textures with the pecans and ‘crust’ contrasting with the overall moistness. I would advise allowing it to cool for at least an hour, to let the bread firm up properly. Keeps well in the fridge. Thanks for the recipe. Hi. Looks delicious. I eo not have SR flour here atm. How much baking soda should I use? Hey Dana, if you don’t have SR flour try using normal flour and doubling the baking powder quantity as people have had success with that 🙂 let me know how you get on. Followed the recipe and had to bake a second!